“All people, whatever their stage of development and their social and economic conditions, have the right to have access to an adequate supply of safe drinking water”, says WHO. Arsenic is a naturally occurring chemical element that has different harmful health effects depending on how much arsenic gets into your body and your sensitivity to it. 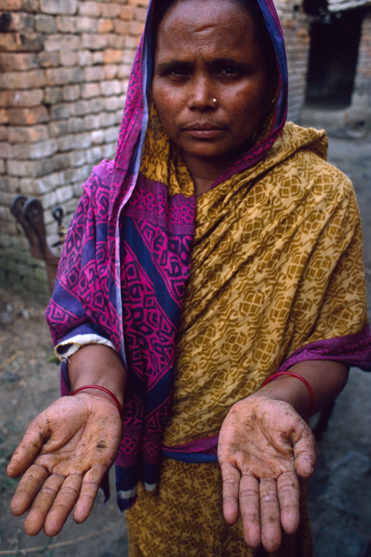 Exposure to inorganic arsenic typically occurs through groundwater used for drinking and cooking. It is widely distributed throughout Earth’s crust, most often as arsenic sulfide or as metal arsenates and arsenites. In water, it is most likely to be present as arsenate. Arsenicals are used commercially and industrially as alloying agents in the manufacture of transistors, lasers, and semiconductors, as well as in the processing of glass, pigments, textiles, paper, metal adhesives, wood preservatives, and ammunition. Long-term exposure to arsenic in drinking-water is causally related to increased risks of cancer in the skin, lungs, bladder and kidney, as well as other skin changes such as hyperkeratosis and pigmentation changes. There is no cure; the only solution is to prevent excessive Arsenic exposure to safeguard our life. The World Health Organization (WHO) has estimated that 130 million people globally drink water containing arsenic above safe levels, causing skin lesions, cancer and damage to the cognitive development of children. 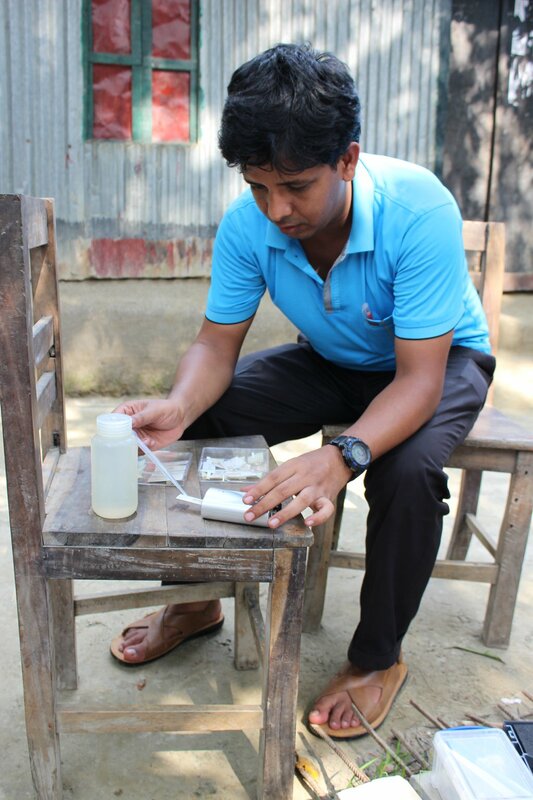 Bangladesh alone has 70 million people at risk due to drinking water from 8.6 million tube wells that require urgent and regular testing, as arsenic levels are labile. Bio Nano Consulting (BNC), in collaboration with world leaders at University College London and Imperial College London, is developing innovative nanotechnology solutions to tackle social problems. 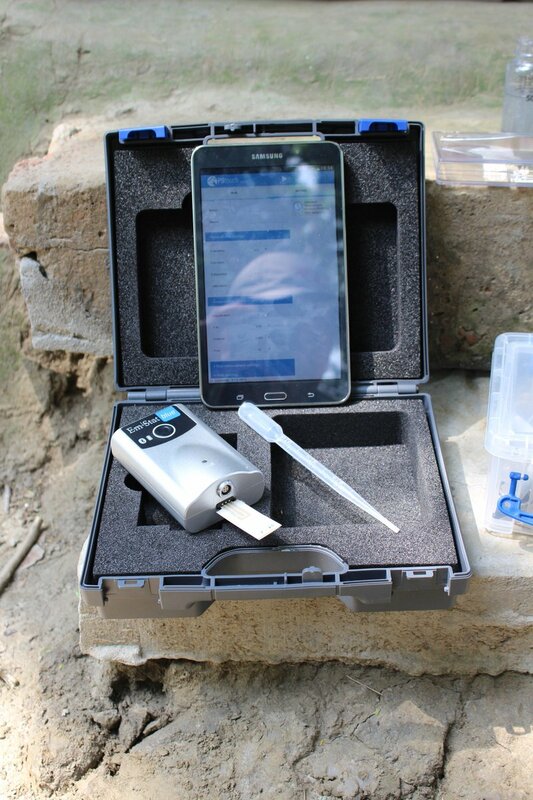 BNC is developing the ‘AquAffirm’ test as a simple, rapid and affordable test to precisely measure arsenic contamination. It utilizes a design based on the well-known diabetes test and empowers local communities to address the issue directly at the point of use. Unlike previous tests, this test requires no toxic chemicals and is simple to administer. The prototype test strips have already developed by the company and they plan to test in field trials in 2017. They are also developing the electronic reader as part of product development program. BNC has collaborated with the University of Dhaka (Bangladesh), IIT-Madras (India) and the Centre for Advanced Materials (Mexico) for the project. The company plans to roll out first ‘AquAffirm’ to affected parts of Bangladesh and to implement the project to other affected parts of the world, including India, Mexico, China, Australia and even parts of America.